La Mort de Cléopâtre (The Death of Cleopatra) by Hector Berlioz is a dramatic cantata, with text by French poet and playwright Pierre-Ange Vieillard. It was composed when Berlioz was just 25 years old. Featuring leading American mezzo-soprano Susan Graham, whose operatic appearances include the Paris Opera, The Met, Milan’s La Scala and Covent Garden Royal Opera House. English composer Gustav Holst’s most famous work, The Planets, finds inspiration not only in the planets of our solar system, but their astrological character. Written in seven movements (one for each of the known planets at the time) The first, Mars, inspired the composers of both the Star Warsand Gladiator movies. The last, Neptune, deploys an off-stage female choir. We are delighted to welcome Voices New Zealand to join us in this dramatic work. If you like music of the late Romantic era, then you will thoroughly enjoy this concert conducted by the NZSO Music Director Edo de Waart. Brahms’ First Piano Concerto was written in his early twenties. Not initially well received, Clara Schumann, a soloist in an early performance, said “the public understood nothing and felt nothing.’ South Korean pianist Joyce Yang, 2010 winner of Julliard’s Arthur Rubenstein Prize returns to the NZSO to perform Brahms’ ambitious and challenging concerto. Richard Strauss was only 17 when he composed his Serenade for Winds – one of four works he wrote for wind ensemble. His father was principal horn in the Munich Court Orchestra so Strauss had expert knowledge on hand when it came to writing for wind instruments. Edward Elgar’s famous Enigma Variations is an intriguing orchestral work featuring fourteen variations on an original theme. Each variation is a musical sketch of a different person in Elgar’s close circle of friends. The theme itself is the “Enigma”. “The Enigma I will not explain,” explained Elgar enigmatically, “its ‘dark saying’ must be left unguessed”. It’s Nimrodvariation recently featured in the 2017 film Dunkirk. Star Wars: The Empire Strikes Back in Concert comes to New Zealand in 2019! This classic film will be accompanied by the New Zealand Symphony Orchestra and NZSO Associate Conductor Hamish McKeich, bringing John Williams’ Oscar®-winning score to life. Don’t miss this exciting combination of a cinematic classic performed with live orchestra. "You must feel the Force around you..."
Little does Luke know that all his Jedi training will be called upon so soon. A stunning revelation-- and a seeming life-or-death duel with Darth Vader-- await. After the phenomenal success of Star Wars: A New Hope, director Irvin Kershner took over from George Lucas and delivered what many believe is the best of the Star Wars films. John Williams again composed the score, creating a soundtrack that built on the music from Star Wars: A New Hope and expanded it to fit the universe around it. Sample some Scandinavian delight as Danish maestro Thomas Søndergård, returns to take the NZSO on tour. Although Beethoven was familiar with Shakespeare’s tragedy Corialanus, this solemn concert overture is thought to be inspired by Austrian writer Heinrich Joseph von Collin’s drama Coriolan. Schumann’s Piano Concerto premiered in 1845 with his wife Clara Schumann as soloist. This is not a showy virtuoso concerto, rather a strong musical partnership between soloist and orchestra. Soloist Denis Kozhukhin, winner of First Prize in the 2010 Queen Elisabeth Competition in Brussels, aged just 23, joins the NZSO to perform this popular piano concerto. Finnish composer Jean Sibelius' Sixth and Seventh symphonies are well known for depicting the rugged Scandinavian landscape. Sibelius said his Sixth Symphony “always reminds me of the scent of the first snow.” English composer Benjamin Britten was less kind, saying “he must have been drunk when he wrote it.” Sibelius’ Seventh Symphony is in just one movement and is considered by some as one of the most original and remarkable pieces he composed. It was also one of the last. Your winter daydreams may not be as full of snow as Tchaikovsky’s, but this concert will still warm your heart. Russian conductor Dima Slobodeniouk opens the concert with Angel at Ahipara from Northland Panels, Christopher Blake’s award-winning work for string orchestra. Based on New Zealand photographer Robin Morrison’s iconic image of an angel at the head of a grave in a churchyard at Ahipara in Northland, the music is a beautiful evocation of desolation and hope. Stravinsky was reluctant to accept the commission for his 1931 Violin Concerto as he believed he knew too little about the instrument. An early musical idea he developed, a chord spanning over two and a half octaves, was thought to be technically unplayable by the soloist. However, upon experimenting with the chord he found it easy to play. This gave Stravinsky the confidence to continue with the composition. German violinist Carolin Widmann joins the NZSO to perform Stravinsky’s only violin concerto. Tchaikovsky titled his First Symphony Winter Daydreams. Despite working enormously hard, the symphony caused him much suffering. The work did not impress musicians he showed it to and individual movements were played to little enthusiasm. However, when the entire symphony was first performed, it was a great success. 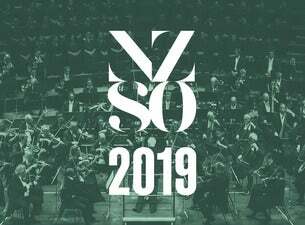 In 2019 we celebrate the 60th anniversary of our National Youth Orchestra. Over this time it has proved itself pivotal in shaping New Zealand’s musical future through bringing together many of New Zealand’s most gifted young orchestral players. The high percentage of players in the NZSO – around 50% - who at one stage or another were members of the NYO, demonstrates the lasting effect this establishment leaves on our young generations. Of the thousands of former NYO members, many can be found in New Zealand and all over the world with successful careers as orchestral players, soloists, chamber musicians, music teachers and just about every other career you can think of. The dramatic events and passionate performances of the 2018 National Youth Orchestra confirmed yet again that the NYO is an experience not to be missed. In 2019, the NYO will work with another performance partner celebrating a significant anniversary – New Zealand Youth Choir celebrates 40 years of energetic music making. See these two take to the stage to premiere a work by the 2019 NZSO National Youth Orchestra Composer-in-Residence, as well as present Elgar’s The Music Makers. Orchestras come in all shapes and sizes. Sinfonietta presents an evening of rhythmic and adventurous music written for smaller chamber orchestras, ideally suited for the intimate space of Shed 6. Live performance is key to bringing music to life, so some 20th-century composers wrote music for chamber orchestras to ensure their new and inventive works were performed. The concert opens with Argentine tango composer Astor Piazzolla’s Sinfonietta. Piazzolla is considered the greatest tango composer and Sinfonietta captures his exquisite earthiness in all its glory. Eve de Castro-Robinson’s Cyprian’s Dance, an exciting work for strings, was commissioned by the NZ Chamber Orchestra and first performed in 1995. Lauded American composer John Adams’ virtuosic Chamber Symphony was inspired by Arnold Schoenberg’s Chamber Symphony No. 1. The work’s third movement, Roadrunner, alludes to the music of the Roadrunner cartoons, which can be felt in the unbridled energy of the piece. Anton Webern features twice, with his Symphony Op. 21 and the composer’s arrangement for chamber orchestra of the Ricercare from Bach’s A Musical Offering.